Niklas Kvarforth, founder and front man of Swedish Extreme Metallers SHINING, today issued the following statement regarding the recent announcement by KING DIAMOND guitarist Andy La Rocque that he would be working with the band on the recording of their eighth album at his Sonic Train Studios in Varberg, Sweden. “The pre-production stage of the new album should more or less be finished in August, and we have booked the studios for the whole of January and February 2012 to complete work on it. It’s an album I’m particularly looking forward to recording because it will give me the chance to work with Andy La Rocque. I am a huge KING DIAMOND fan, and working with Andy was an opportunity I wasn’t going to pass up. He will be attending some of our rehearsals and it will be interesting to see what his input will be to the almost finished album and to SHINING’s particular sound. Whilst we’re there, we also plan to record some covers for future release. As to the direction VIII will take, well, for the time being let’s just say that it will be blacker and more sinister than our previous releases”. SHINING is set to release the band’s first ever single this month, which comprises “Förtvivlan, Min Arvedel”, the opening track from the newly released “VII / Född Förlorare” album, plus a cover of ALICE COOPER’s “Prince of Darkness”. Whilst the single, which is released on Spinefarm Records, will only be available in Sweden, the band is looking into the possibility of releasing other versions elsewhere. Also newly released is SHINING’s first ever music video, which has received over 60,000 views since it was first uploaded onto YouTube two weeks ago. 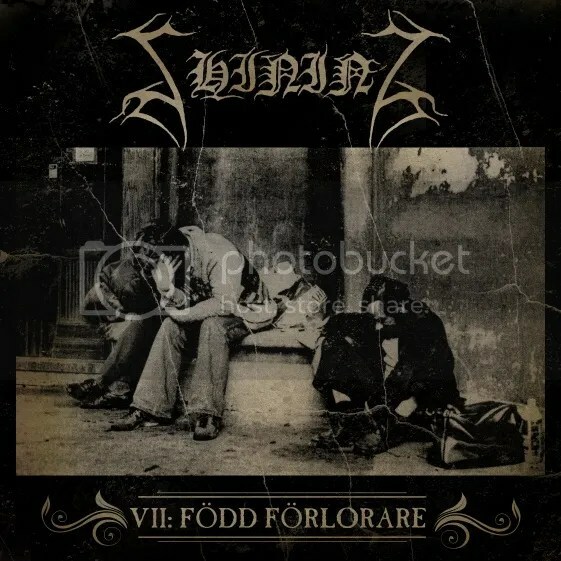 The video, directed by Martin Strandberg & Niklas Kvarforth and produced by Martin Strandberg, uses the track “Förtvivlan, Min Arvedel”, and was released in both censored and uncensored versions, to allow fans in countries with heavy censorship laws a chance to watch it.